Chris brings a wealth of national and international sales and business operational experience to the Laing+Simmons Macarthur | Camden office. Chris is passionate about Real Estate, farming and the building industry and is determined to "Go Beyond" what his customers expect in terms of service and support. 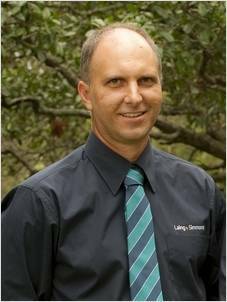 When you meet Chris, you will be greeted by Chris' friendly, no fuss, helpful and practical approach to Real Estate. Chris likes to partner with his clients to find the right fit for their special and unique scenario. Chris has formal qualifications in Real Estate, Mechanical Engineering, as well as various management and trade qualifications. Having grown up and lived in the Macarthur area, Chris is now raising his own family who are attending the local school and are the 5th generation to live in the district. It doesn't matter if you are looking for your first home, your dream home, a rural retreat, a rental property or an investment, call Chris and the Team at Laing+Simmons Macarthur | Camden.